I don't wear a whole lot of pink, but this limited edition lovely from Dior has turned my head regardless. One of four new shimmering shades for spring, each matching a Dior Addict Gloss of the same name and shade, this is a dreamy, pretty and ultra-feminine polish. There's a slight warmth to the pink, which I prefer to straight up blue-based shades, and the soft shimmer makes it really come to life on the nail. 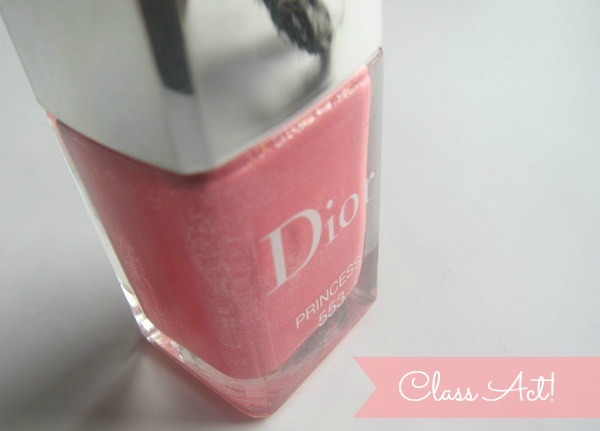 Dior nail polishes are exceptional quality and this is typically great - the formula is the perfect consistency and applied perfectly in two coats, drying quickly to a high-shine finish. Weartime was impressive, too - s'all good. Worried about removal? Don't be - the sparkle here's so fine that there's none of the usual problems associated with a glittery polish. Yup, Princess is one class act all round. She's €23.50 and on counter now. 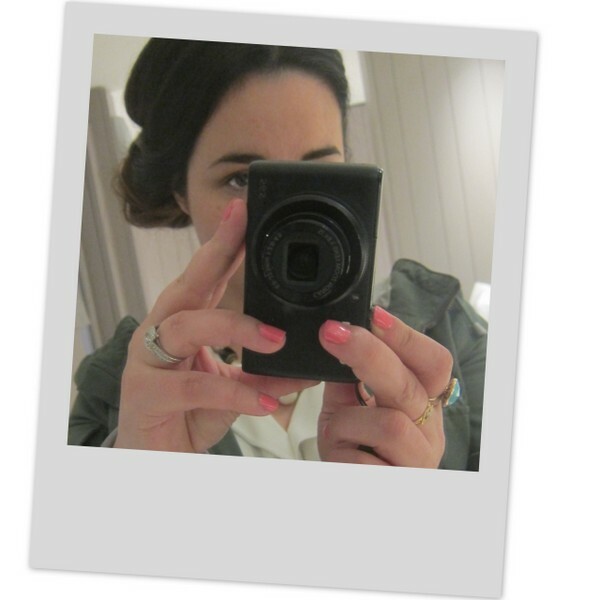 What are you loving on your nails these days? I've been so tempted by this polish but i'm not generally a lover of shimmer polishes. I think you may have just won me over with this one though, it's beautiful and I love the name! Such a pretty shade of pink & I love the subtle sparkle. Puuuuurrty :-D I love how it subtly shimmers. I don't wear a lot of sparkly things... but I'd make an exception for this. Very pretty shade! Looks great on your hands Emma! I am a fan of pink in general so lurv this pretty shade! Normally I don't wear sparkle nail colors, but this is fantastic , I want to buy..
What a lovely color! I love a somewhat similar shade "Get Juiced" from Sally Hansen and am reviewing it tomorrow! I love this pink nail polish very pretty! This is the prettiest/girliest nail polish I've ever seen! Love the matching lip gloss too, I'm really impressed with Dior cosmetics! THIS is a beautiful pink, not too garish and not to faint. Very nice! The subtle glitter effect is very pretty. Not sure if it's worth that much though, I'd say some of the American brands have some dupes for it. Lovely all the same though! Lovely shade, just the right amount of shimmer! And I see a ladylike hairstyle in the background! 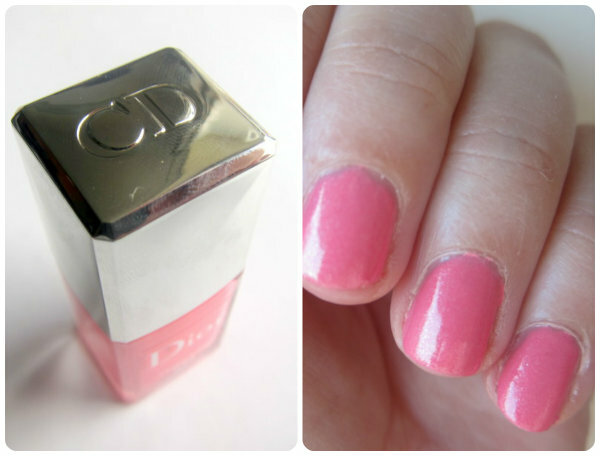 Wow, that is so pretty, that may have to be my first Dior nail polish purchase. That's a gorgeous polish, so soft and summery without being in your face. Not a lover of pink but I would definitely wear it. Gorgeous! I just ordered it in the colour Spring Ball, and maybe a Dior Addict lipstick to go with it, I'm blaming you! Oh god these are beautiful. I want this nail polish. On a cheap note, I've been really loving Catrice's Neo Geisha nail lacquer. Looks so great on, you'd never know it cost so little.